Horrible customer service. One of the workers hung up the phone on me for disputing a charge. Wouldnt let me speak to a manager. Charged an extra day for no reason when returned on-time. On the contract it says i can return the vehicle before 4pm, i returned it an hour before that time and i still got charged. Because they chose to close early that day and claimed they told me which no one ever did. No call, no email, nothing. I would never rent a vehicle from here again. Enterprise is much better in Sudbury. I wouldnt even give them 1 star. I deal with other discount locations in the GTA on a monthly basis and they have never given me this much trouble as this one location did. Its pretty sad. Stay away people. One star is too many, but I cant post without giving at least one. 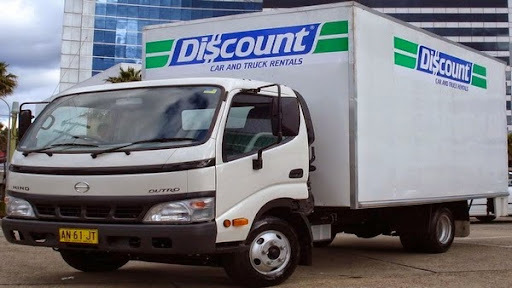 I booked a moving truck with Discount a week in advance, received a confirmation from Discount and no word until the day of pickup. On the day of pickup, I call to discover that there is no truck available and that there never was. No phone calls and no email despite the po-faced agents insistence that they called and emailed me. Not a chance. So now its moving day and I have a reservation confirmation and Discount is acting like theres nothing they could have done to prevent the situation. If they cant handle simple reservations, I cant imagine what else theyre screwing up. Staff is on the ball and quick at accommodating difficult requests. Their parking lot is a bit small and tricky to maneuver with larger vehicles. Terrible service. Unaccomodating. Will not return.